Founded in 2006, SFTech4Good is a monthly meetup with events in San Francisco. We gather to explore how tech and people in tech can use their skills for social impact - and how social good organizations can more effectively use tech. Participants, attendees and speakers come from a variety of organization types and diverse disciplinary backgrounds, including: social entrepreneurs, large organizations, B corps, nonprofits, angel investors, institutional funders, company founders, computer programmers, technologists, marketers, designers, writers, media makers, and more. Initially called SFNetSquared, SFTech4Good was the first of a global network of grassroots-organized communities sponsored called NetSquared by TechSoup.org across North America, South America, Asia, Australia and Africa, all exploring social tech tools for social impact. An experienced event manager and community builder, Regina first moved to the Bay Area in the mid-90s to attend law school at the UC Hastings College of Law. After UC Hastings she lived abroad in South Korea for almost 9 years. 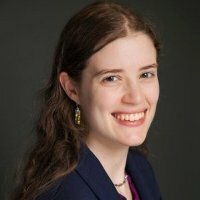 Her career focus is events and community in tech. Currently, she works for Toyota Motor North America where she’s the community manager for the Mirai Hydrogen Fuel Cell Vehicle. She has experience at notable tech companies including Salesforce & CreativeLive. She’s organized SFTech4Good since 2011. She’s also an alum of UCLA and Ewha Womans University in addition to UC Hastings. Katharine cares about marketing, mindfulness, and tech for good. In addition to her primary work in technology marketing, she has experience in business-driven social innovation, including fields such as social intrapreneurship, social entrepreneurship, impact investing, CSR, and corporate innovation. Her experience includes work at global companies with Fortune 500 clients as well as advising various nonprofits and startups. Katharine graduated Phi Beta Kappa from the University of Chicago with a degree in Psychology. In 2012, she was a Finalist for the Net Impact “Impact at Work” award for her “intrapreneurship” in creating and scaling an employee volunteering group on 3 continents. Originally from a suburb of New York City, she moved to the SF bay area in 2013. In her free time, she enjoys yoga, meditation, hiking, and potluck dinners.